Every staff and volunteer in Tamar Village does not receive a salary. Every donation goes to restoring an individual, a family unit, the rent of the facilities, training programs and outreach efforts. DONATIONS CAN BE MADE BY CHEQUE AND BANK TRANSFER ONLY. Please indicate “For Tamar Village Ministry” at the back of your cheque. 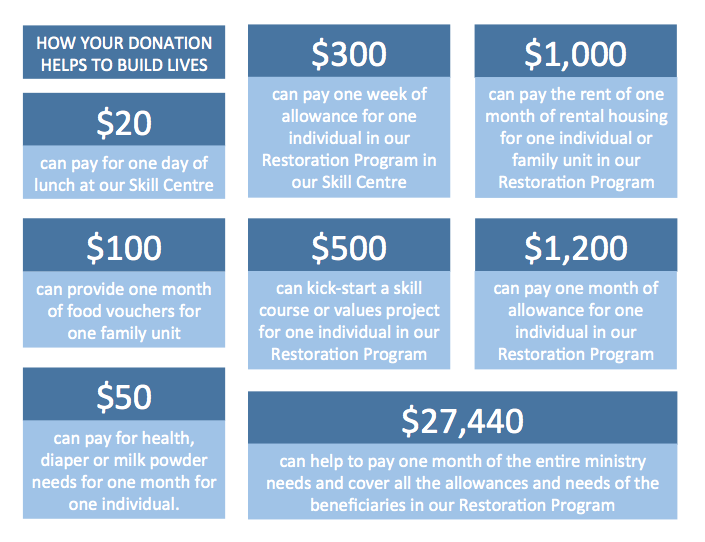 THANK YOU FOR GIVING TO BUILD A LIFE AND RESTORE A FAMILY UNIT.